Size: approx. 2-3 mm. Photo: 04/23/12, 1 pm. 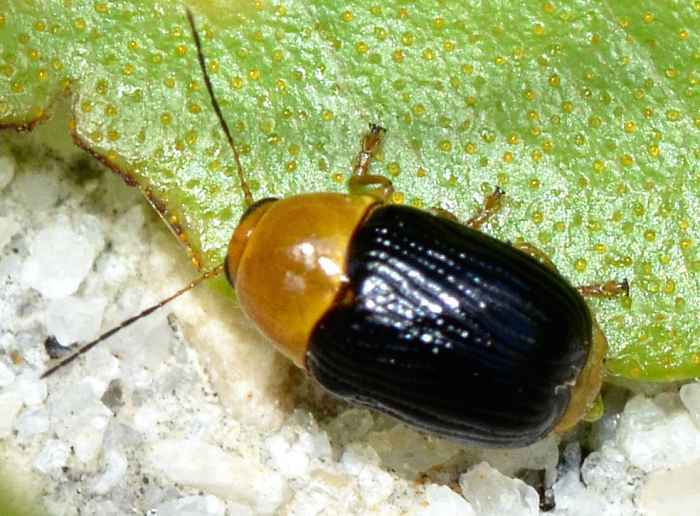 This tiny leaf beetle is Cryptocephalus nanus. It belongs to the Arizonensis group which consists of the five species C. arizonensis, nanus, nigrocinctus, sanguinicollis, and pallidicinctus. The genus Cryptocephalus includes of over 70 species in North America.